What age is appropriate for this program ? 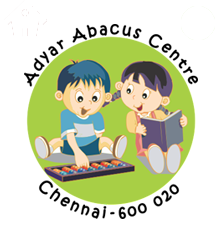 The Abacus program is designed for children between 4 to 14 years of age. What are the various levels in the program? There are 8 levels plus two Grand Levels. Our centre is capable of handling classes up to Grand level I & II. What kind of abacus is used in the program ? The abacus used is the Japanese abacus or Soroban. It has around 15 rods, each with 5 beads. There are 4 beads below the bar, and 1 bead above the bar. Will the Abacus program help my child with math and other subjects that are taught in school ? Yes. The program uses visual, auditory and tactile techniques to teach mental math which contributes to whole brain development and results in improved memory, focus and visualization skills. These are skills that are useful across all academic subjects. I would like to enroll my son (2nd grade, age 8) and daughter (4th grade, age 10) in abacus classes. What "Level" should I select for each of them ? All students start the program in Level 1 regardless of their age, grade level or academic ability. However, for Kindergarten students, we start at a junior level called KG Level, and then move to Level 1. In Level 1 we introduce the foundational concepts and exercises of abacus math which are required for the upper levels. The program is designed in such a way that the child moves up through the levels very smoothly, in a seamless manner. How is this program different from other after-school math programs ? Adyar Abacus is focused on teaching abacus math, which leads to strong mental math skills. Once a child completes the curriculum, the mental math skills are generally there for life. The program is designed to be fun & interactive, so kids spend the in-class time learning from the instructor, and learning through certain exercises & games. Can my child join classes any time during the year? Yes. The classes are offered on a individual, one-to-one basis. Moreover, Abacus is an ongoing programme, independent of the grade at school. If you have joined in a mid-month, the 'missed' classes can be made up by attending extra classes.